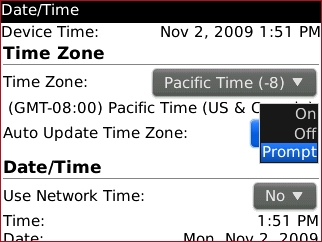 Select the current setting in the Set Time field. 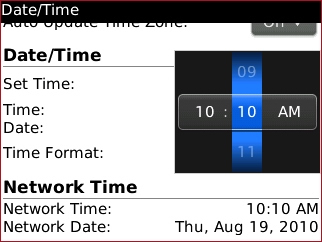 If desired, select the current setting in the Time Format field. 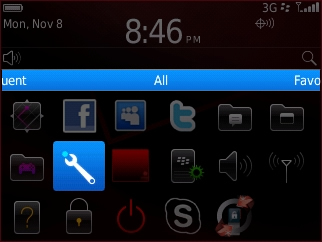 Press the Menu button then select Update Time. 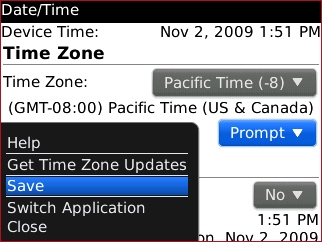 Select the current setting in the Time Zone field. 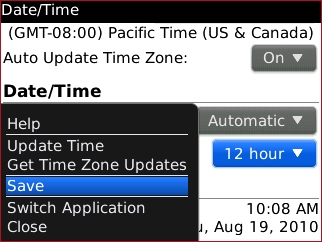 If desired, select the current setting in the Auto Update Time Zone field. 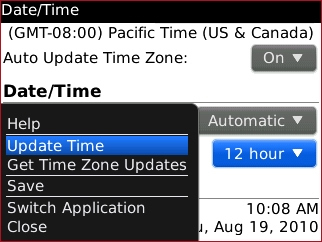 Time Zone is updated when a new time zone is detected. 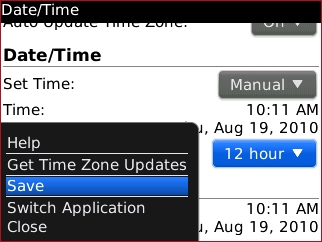 Time Zone will not be updated. 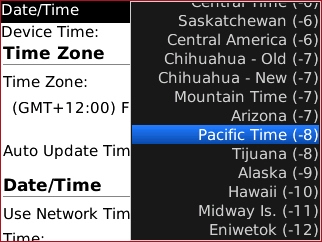 A prompt appears when a new time zone is detected. 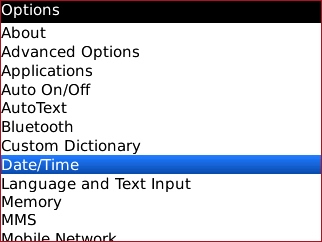 Select the current setting in the Time field. 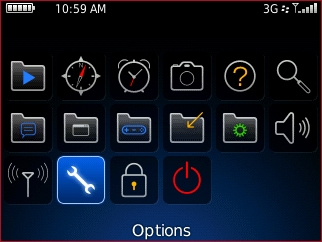 Adjust then select time as appropriate. 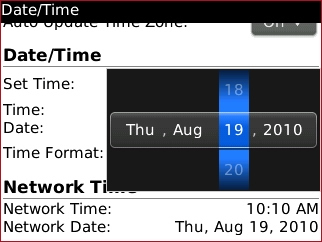 Select the current setting in the Date field. 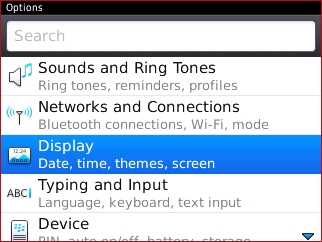 Adjust then select date as appropriate. 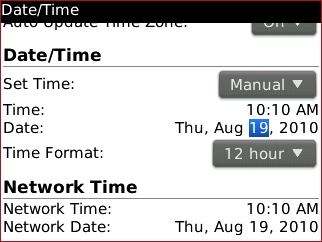 Select the current setting in the Time Format field. 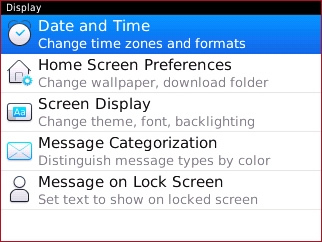 Select the current setting in the Update Time field.